In a complete reversal of their recent position, Bayer Healthcare has decided to pay $56.9 million in a Yaz injury settlement to 1,200 individuals who have been seeking damages in federal court for arterial thromboembolism (ATE) injuries caused by ingesting the birth control drugs Yaz and Yasmin. As late as mid-July, Bayer Healthcare which faces 4,000 unresolved claims due to Yaz and Yasmin, had steadfastly refused to settle the 1,200 arterial thromboembolism suits which detailed injuries such as strokes and heart attacks due to arterial clotting. 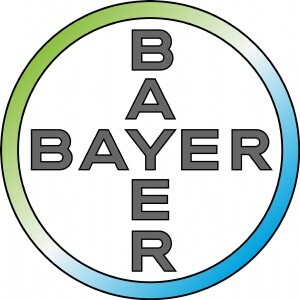 A court order issued August 3 detailed the voluntary settlement program with the proviso that at least 97.5% of the plaintiffs must agree to the settlement or Bayer can withdraw its offer. To date, Bayer Healthcare has been taken to task in 12,000 complaints all alleging that the active ingredient drospirenone in Yaz and Yasmin contributed to an increased risk of blood clots, heart attacks, arterial and venous thrombosis, and other injuries. They are also suspected in the deaths of 23 women in Canada, four women in Finland, fourteen in France, and more than 50 women in the U.S. Despite having already paid $2 billion in claims to 9,900 complainants that Bayer failed to warn women and health practitioners about the potential side effects of Yaz and Yasmin, a 2015 second quarter investor report stated that 4,000 claims remained unresolved until this week’s Yaz injury settlement news. The previous settlements resolved claims involving injuries such as deep vein thrombosis and pulmonary embolism, known as venous thromboembolism (VTE) injuries. Approved by the Food & Drug Administration (FDA) in 1960, birth control pills were marketed as “lifestyle” drug, a convenient and non-intrusive means of contraception unlike creams, vaginal rings, diaphragms and the like. Yaz and Yasmin, considered “new generation” birth control pills because they contain a fourth-generation synthetic progesterone, quickly become some of the bestselling oral contraceptives in the world after Yasmin was first introduced in 2001. Yaz was brought to market five years later with the added “benefit” of treating acne while effective as an oral contraceptive. The progestin and estrogen in birth control pills like Yaz and Yasmin stop a woman from ovulating. However, drospirenone can raise the risk of clotting, strokes, and heart attacks. This is further compounded if there is a history of smoking or obesity. Others believe the potential side effects are not an a safety issue. “I have no problem prescribing these medicines,” said Dr. Barbara Soltes, an associate professor at Rush University Medical Center who conducted industry-funded research on drospirenone before it came to market. Soltes conceded that the high potassium levels linked to drospirenone can put patients who have kidney or liver problems at risk for cardiovascular injury. This past Monday, U.S. District Judge Davis Herndon who has been overseeing the federal Yaz and Yasmin litigation since 2009 in the Southern District of Illinois called for a count of remaining claims to better understand how many cases will remain unresolved after this settlement program. Judge Hendon has said he may start remanding individual cases back to the courts where they were originally filed if progress remains slow.